I know right first question you will ask! Where can you get it except from the official stylenanda website. Before that I want this so badly then one of my sweetie actually help me purchase from their korea official website but recently she went oversea to continue her study :'( So I have nothing to hope .. I saw Make_Over♥ actually selling 3CE products !! So this two product I got it from this shop. You know I don't have any idea what to pick for my lip color because I'm a kind of person which have lots of lip color but almost all are the same series of color. I'm afraid it not match my style then end up I always pink those bright pink rose color! Lol I'm just being so weird ! End up I decided to ask make_over for some recommendation. I prefer sweet natural lip color since I already have lots of pop color on my lips and I'm gonna get another red lip color on my next purchase! The owner is just sooooooooo friendly and did you remember that my previous review for Christine Ladies Mask (here)? I told you right their service is just AWESOME! So end up I picked 3CE ♥Lip Color #506 DAILY LADY & ♥Cream Blusher #Baby Peach! Thanks Make_Over for the recommendation! I just love it! Love it sooooooooooo much~ Stop crapping here let me show you the outcome after applied on my face. First, let's talk about their famous lip color. What can I say about their LIP COLOR? As I mentioned I picked the natural more on sweet color tone #506 DAILY LADY♥ The color is not really obvious but it's more to natural type of color. I love this because my lips actually look very pale without any lip color. 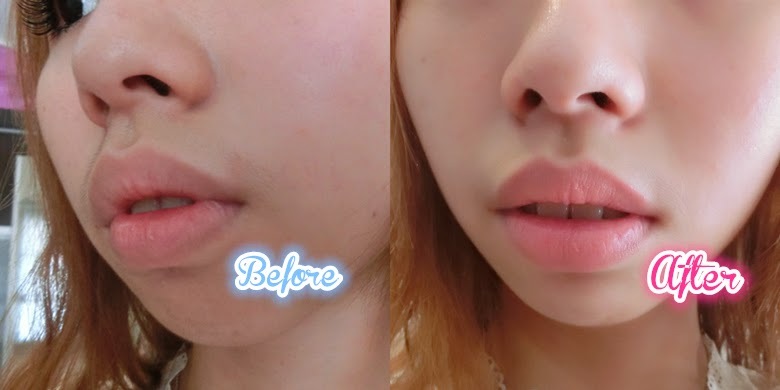 (You can realize it from all selca photo I took) Then, I don't want buy any pop lip color so this time I pick a lovely pink color which is BEST SELLER on their website. It's very natural and wont look too obvious when you using it daily even you can use it when you're working. I really love this and I want to say that it's super pigmented even the color is so light. Just that lipstick might look a little bit dry on cracked lips. So make sure that the day before you want to use lipstick you can use Vaseline to moisture your lips so the next day it wont look so dry and cracked. I compare my lips color with the lip color shown on the product it's exactly the same. You know sometime when you look at their product packaging the color is slightly diff but this~ IT'S SAME! First impression of their packaging already make me feel super happy , then now when it come to the main point it's still impress us! No wonder it's super popular and famous now. Another closer photo for you to see the diff. A very natural and sweet color! I love #DAILY LADY~ It's a must color for everyone! Strongly recommend for those who looking for a natural type of lip color. 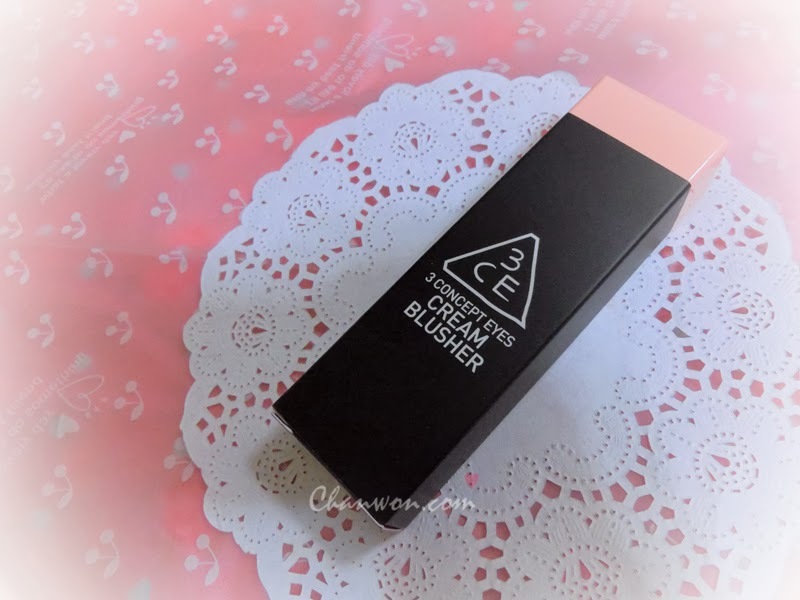 I think this is another BEST SELLER color from their cream blusher. Without any blushes my face looks a little bit too pale again! Lol Let see the outcome! See that? It's very light and I just blend with my fingertip!!! To complete my look I added with a pair of false eyelashes , eyeliner , mascara and this is how it look like.